However, I do exchange gifts with my father. And by gifts I mean he normally sends me a check for $100 and I send him either a gift that I have put a lot of thought into but that may or not be actually appreciated or a gift card on the years when I am feeling lazy. On the whole, though, I am not a huge fan of giving gifts this way. He sends me $100 and I send him $100. What exactly is the point of that? Dad rose to the challenge (see, Dad, starting to look good!) and responded a little later that he had purchased me two gifts that he thought I would like. I told him the element of surprise and anticipation was worth at least $25 so he was already a winner. Then the first package came. And he nailed it. 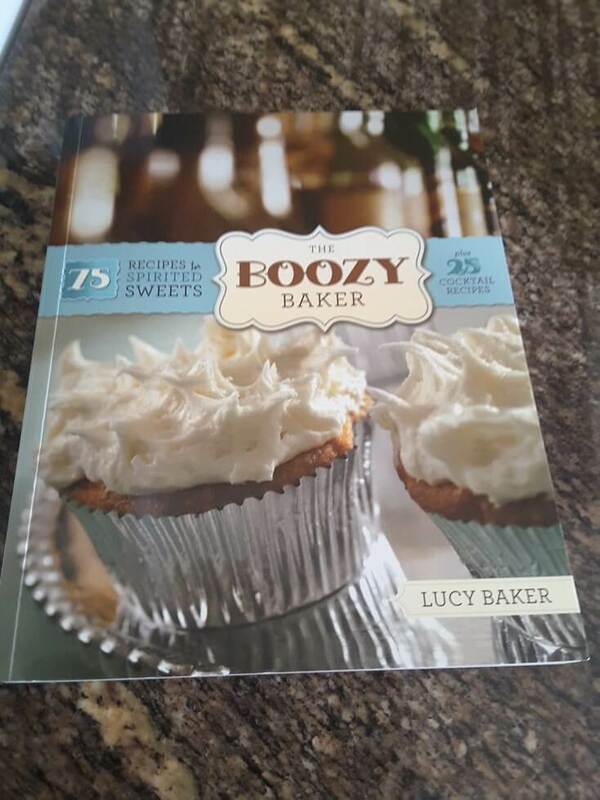 The Boozy Baker. The title is great, the recipes are better. I thought it was a great gift and I called to give thanks and tell him mad props. Then the second item arrived. 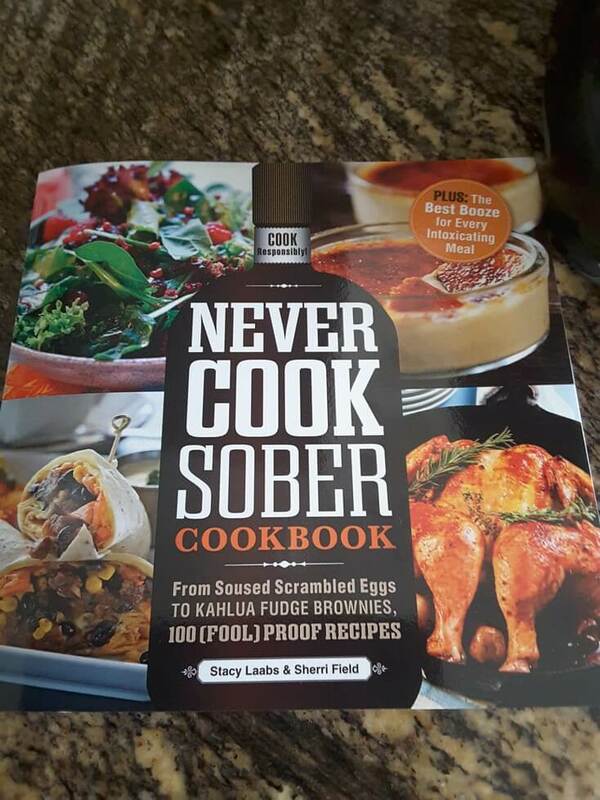 The Never Cook Sober Cookbook. It made me start to wonder if I had problems. But then I saw the recipes and realized I didn’t care if I did. 🙂 Great job Dad!I looked through the books and immediately texted my girlfriends in Tucson to let them know that I would be bringing Donut Bread Pudding with Whisky Sauce to our annual Favorite Things party, which was being held while we were in Tucson over break. (I was going to provide a link to one of my previous posts about Favorite Things Party, so you could learn about it. But for some reason I can’t find the post. So instead, read my friend Ceci’s take on last years party. To be honest, its better then how I would have described it anyway). Now, I’m not going to lie. I only had a bite of it, so I can’t really describe the taste a week later. It was really poor planning on my part. 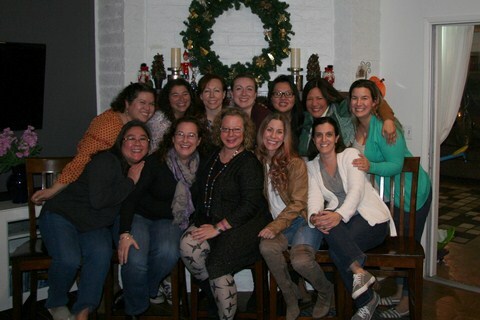 I ate way too much of everyone else’s offerings. They were so good! One friend made these incredible turkey apple and cheese sliders with an apricot jalapeño jelly on Hawaiian Rolls. No one can resist Hawaiian Rolls! Plus there was a delicious charcuterie board (that’s right, we had charcuterie, not just a plate of meat and cheese. 🙂 ), two types of homemade soup, and more. I was powerless to resist. But those smarter then me saved room for dessert and there were moans of pleasure. So I consider it a success! Brush a 9 inch square baking pan with a little of the melted butter. Cut the doughnuts into chunks and place in pan. In large bowl, combine the rest of the butter, brown sugar, cinnamon and nutmeg. Add in eggs and whisk until blended. Continue whisking while adding in heavy cream, whisky and vanilla. Pour the mixture over the doughnuts, making sure all pieces are covered. Press down the doughnuts with a wooden spoon if needed. Cover pudding with aluminum foil and bake for 30 minutes. Remove foil and bake an additional 15 minutes or until custard is set and doughnuts are lightly browned. 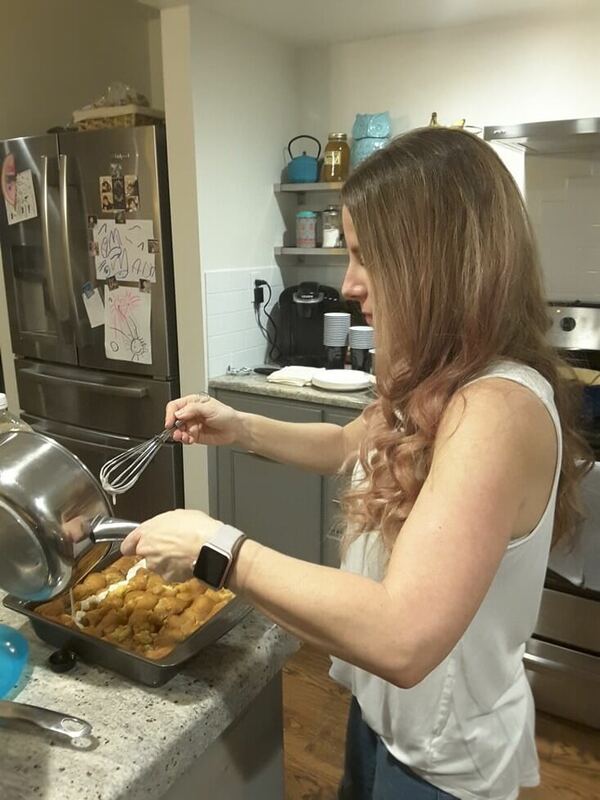 When ready to eat, make the sauce. Combine starch and whisky in small bowl. 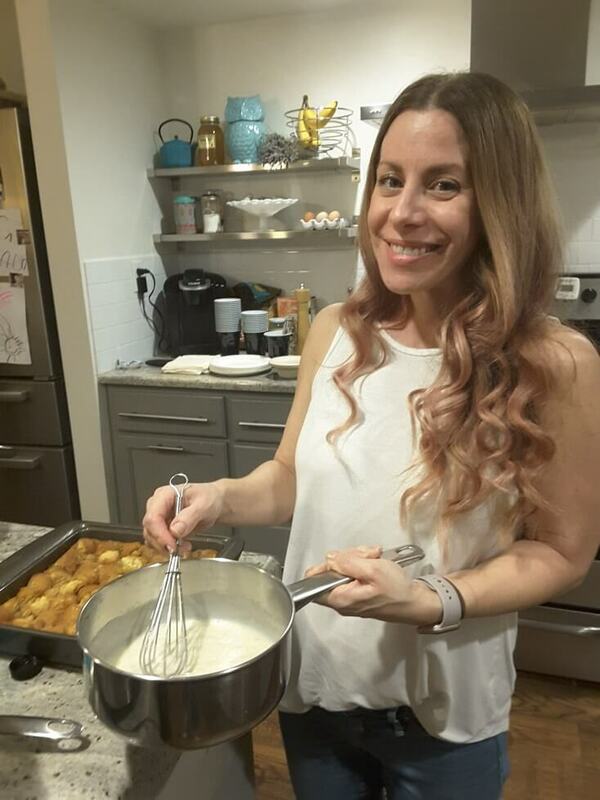 In small saucepan, combine the cream and sugar and heat over high heat, whisking constantly for 2 to 3 minutes, until small bubbles begin to form. Continue whisking and add whiskey mixture. It will begin to bubble vigorously. Continue whisking until blended and thick. 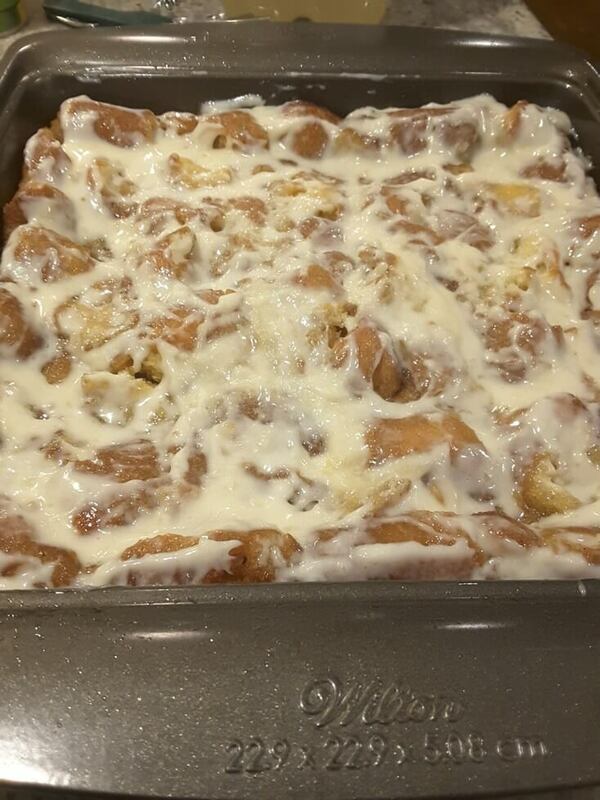 Spoon the sauce over the bread pudding and enjoy!